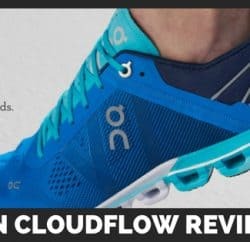 On running shoes are the brainchild of World Duathlon Champion and multiple Ironman Winner, Olivier Bernhard and likeminded Swiss engineers David Allemann and Caspar Coppetti. The company was created in Zurich, Switzerland in January 2010 with the first shoes hitting the European markets later that same year. The company opened their US headquarters in Portland, Oregon and entered the US markets in 2014. Depending on what time of year it is and what event I’m training for, my weekly running mileage varies anywhere from 20-50 miles per week. 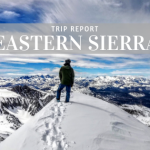 At the time of this report, my weekly mileage hovers around 35 miles per week with swimming and cycling mixed in, in order to tackle a few upcoming triathlons. With that said, I consider myself primarily a trail runner. The bulk of my runs take place on the trails close to my house and vary in difficulty from the “Tahoe Flat” Emigrant Trail to the rather technical, rocky and steep Animal & Drunken Deer trails. Physically, I stand at 5’6” and weigh anywhere between 120-125 depending on time of day, how big my shoulders are from swimming and how big my belly is from cookie consumption. I have teeny-tiny feet for my height – like freakishly tiny. I wear a 6 or 6 ½ in street shoes so a 7 in running shoes typically keeps my toenails from turning black. I have very high arches, a narrow heel and an average, if not wide forefoot/toe region. Lastly, and probably most importantly as it relates to shoes, I have somewhat compromised Achilles and ankles due to some old injuries. In my opinion, the best running shoes are the shoes you don’t notice. I notice shoes if I’m feeling hot spots. I notice shoes if my toes feel crammed. I notice shoes if my arches ache. I notice if I trip or if I roll an ankle. I don’t notice my running shoes when they feel great and perform as they should. This is exactly what I found when running in the On Cloudventure. 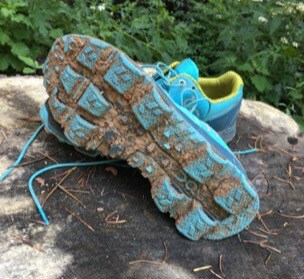 I tested them on varied terrain – from loose gravel and sand on fire roads to moon dust covered single track and even a little road thrown in for sport. In doing so I found that I struggled to pay attention to them and had to consciously focus on what exactly they felt like. That alone speaks volumes. Right after lacing them up, I noticed that the Cloudventure fit my foot like a glove. They felt secure and snug without being tight or compromising circulation. 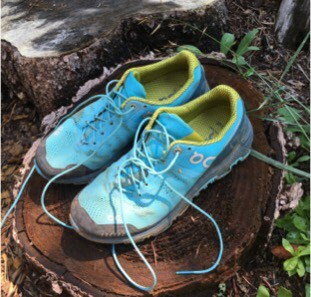 While I was running and consciously focused on how they felt, I noticed that the toe box provided plenty of room without feeling sloppy and my arches were very well supported which reduced foot fatigue. They felt safe and secure without feeling rigid which made my footing more stable and gave me a sense of confidence on technical terrain. The sole provides exceptional gripping as well. For example, I ran them up and then down a particular section of fire road with a 12% grade and is comprised of hard packed dirt covered by a thin layer of gravel and sand. While I have historically had issues with my feet slipping out from underneath me on this route, the Cloudventure was solid! The uppers kept my feet cool even in higher temps and high humidity. The one place where I felt like the shoe underperformed my expectations was in the cushioning department. Perhaps this is because up until this point, I’ve primarily been running Altras and Hokas, but I felt as though I’d prefer more cushioning for my longer distance runs (i.e. anything over 12 miles). With that said, where the shoe lacks in cushioning, it more than makes up for in stability. 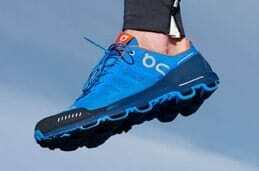 Uppers: That exceptional glove-like feeling I experienced with each of my runs is attributable to the Cloudventure uppers. 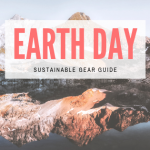 The shoes are built with a 2-layer upper that combines a highly comfortable and supportive inner layer with a breathable, light outer layer that is also treated with a durable water repellent (DWR) coating. The toe-caps are fused with rubber and engineered mesh to provide protection for the toes while still remaining lightweight and flexible. The talking points prove on point when it comes to the breathability of the shoes. I ran in weather ranging from 60s and dry to 90s and humid and felt extremely comfortable as it relates to the temperature of my feet in the shoes. They are indeed very breathable. 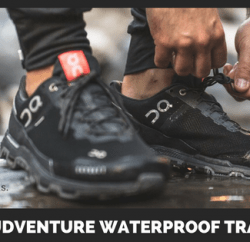 While the uppers are water repellent, they are not waterproof. 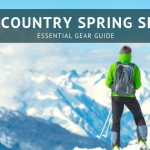 In other words, you can splash through a shallow puddle and run through wet grass without getting wet, but if you fully submerge the things while crossing a creek, your feet will take a bath. I don’t consider this to be a bad thing. I’ve yet to come across a running shoe that is truly waterproof and those that claim to be generally do so at the expense of breathability. Midsole & Outsole: The CloudTec® sole has 11 individual pods that stretch back upon impact to offset the forces of downhill running. The company calls this “horizontal cushioning” as opposed to “vertical cushioning” which is designed to offset the typical forces of the foot landing on a flat surface. This horizontal cushioning and these built-in pods are actually what I attribute to the additional grip I experienced while running down that steep and gravel ridden fire road. Where other shoes I’ve run in became un-giving surfaces gliding over ball bearings on this terrain, these soles gave and flexed just enough so that the rubber could meet the dirt road beneath. 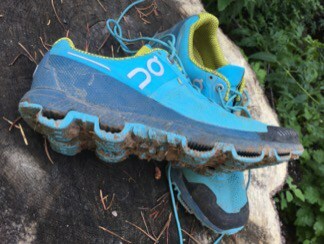 My main concern regarding these shoes was the potential for mud and rocks to get trapped in the pods. I ran in plenty of mud and in plenty of gravel and I didn’t have an issue with it. As you’ll notice from the pictures, the mud tended to collect on the bottom of the soles as with any normal sole, but not within the pods. With that said, the mud that I ran in wasn’t the clay we often experience in early spring conditions up in the Sierras. I don’t think any shoe is capable of keeping that stuff from coagulating into brick soles. I think that the pods may be more problematic with that type of clay-mud as it would inevitably work it’s way into the pods and potentially dry in place making it very difficult to remove without some sort of invasive procedure. I love these shoes for the exceptional traction and stability they provide. My abnormally low foot coverage ratio necessitates as much help as I can get in those departments and the Coudventure definitely performs on that front. They are now my go to shoe for technical and rocky terrain. 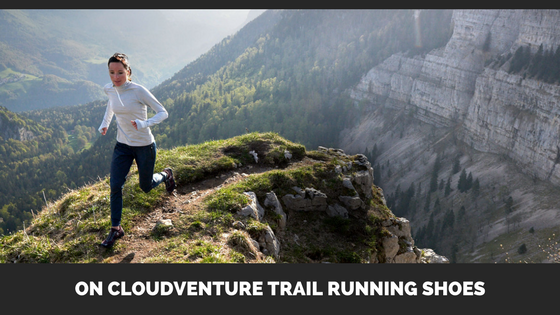 Check out this video for all the specs on the Cloudventure from On-Running. 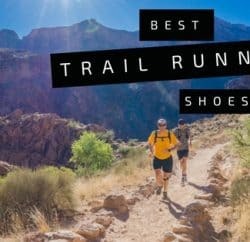 We have On Trail Running Shoes in stock at Tahoe Mountain Sports so come in and try them on! 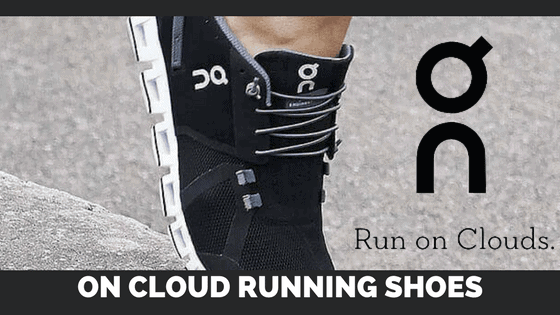 If you can’t come in to try them on please shop online from our affiliate partner, On-Running. 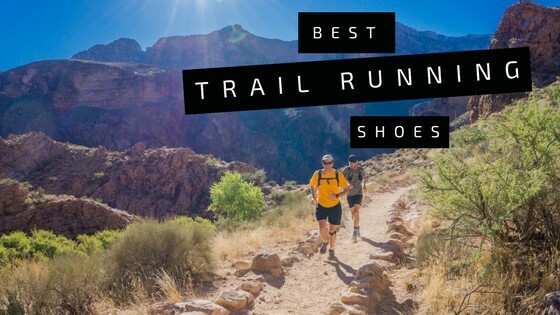 Click here to read about all of the trail running shoes we have available.